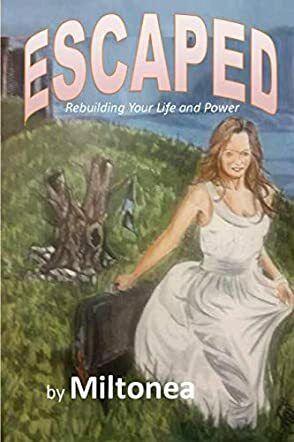 Escaped by Miltonea shares the wonderful story of author, singer and actress Sara Mayfield. Growing up, Sara Mayfield’s mother, Gloria, wasn’t spiritual and was involved with several cults. She was pregnant with Sara and never shared the birth father's identity with anyone, and married another man quickly, allowing everyone to think he was the father. There was a lot of hurt, depression and bitterness found within this family, creating a great amount of dysfunction. Gloria fought against Sara as she chose to go to church and place her faith in God, causing a constant battle within the family over her faith. Sara later moved to Tampa to get her college education and enjoyed being away from the strain of her family. While there, she searched for her father and that was when she found out that while he had married her mother, he wasn’t her birth father. Again disappointment settled in and heartache seemed to overwhelm Sara at this news. Sara soon became pregnant and wanted to marry the man, even when she saw the warning signs and felt as though God was telling her no. She went ahead, however, because she didn’t want the baby to be without a father as she had been growing up. Soon domestic abuse began and she searched for a long time as to how to escape this horrible situation. The story continues with many ups and downs yet Escaped helps the reader to acknowledge that when one places their faith in God, no matter what comes their way, there is an escape. Reading this moving story from beginning to end engages the reader, motivating them to keep turning the pages to find out more about Sara and how she will find strength and direction to overcome the suffering within her life. Churches, abuse shelters, and counseling offices could make good use of this material, allowing it to encourage the reader as they face their own set of difficulties.